The Vatican on Saturday accused the Italian media of spreading "false and damaging" reports in what it condemned as a deplorable attempt to influence cardinals who will meet in a secret conclave next month to elect a new pope. Since Pope Benedict announced his resignation on Feb. 11, Italian newspapers have been full of rumors about conspiracies, secret reports and lobbies in the Vatican that they say pushed the pope to abdicate, including a rumor that involved a shadowy "gay lobby" within the Vatican. CNN Senior Vatican Analyst John Allen, who is also a correspondent with the National Catholic Reporter, cautioned that such unsourced speculation should be taken with a grain of salt. While Allen said he doesn't know for sure whether a network based on sexual orientation was investigated by the Vatican, he said "frankly, it would be a little surprising if they hadn't" — given past scandals that have come to light. The EU- the next Superpower? The writer of this article says: "Don’t laugh! I realize that even a year ago, that statement would have seemed absurd." Maybe she should have been reading the Plain Truth. We have predicted this since inception, and many before us, especially the ARMSTRONG'S has predicted this since the 40's! If God works in mysterious ways, then the Vatican has long been meticulous about following His example. The Holy See’s pronouncements on Catholic doctrine claim the missile-like clarity of truth. But its politics and workings are monuments to obscurity. Centuries of secrecy and intrigue turn even the most historic events into exercises in uncertainty. On Monday, when Pope Benedict made one of the biggest Vatican announcements in 600 years — his resignation — he did it exclusively in Latin, a dead language only one journalist in attendance understood. Don’t expect more clarity when cardinals gather in the Sistine Chapel to secretly vote for a new pope. After each vote, chemicals will be used to turn smoke from a small rooftop chimney black, the signal of voting deadlock, or white, the fumes of success. In 2005, when German Joseph Cardinal Ratzinger was elected Pope Benedict XVI, the smoke came out grey, leaving tens of thousands in St. Peter’s Square baffled for minutes. 'Final pope' already running Vatican? Why is the Pope resigning? Does he know that he is dying? 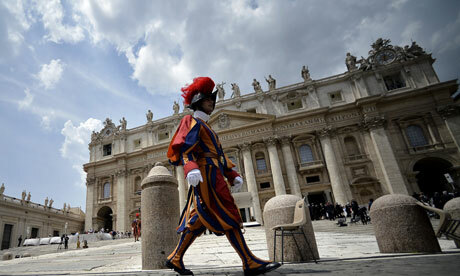 1st Pope since 1415 to resign! Pope Benedict to Resign! It is the culmination of a long campaign by the Catholic Church to regain religious stewardship over the place where Jesus is supposed to have broken bread and drunk wine with his disciples on the eve of his crucifixion. "An official meeting took place in Ramallah, Palestine, at the Ministry of Foreign Affairs of the State of Palestine". This is the official note of the Vatican press office about the meeting between the Catholic officials and the PLO representatives which took place this week. Israel Seems to Have Sold Jerusalem to the Vatican! This article offers a fresh look at biblical concepts of time, to the intent that we might know more about the impending "day of the Lord" that comes as a thief on unbelievers. Here are several concepts. 2. The Bible teaches that a thousand years are like a day, 2Peter 3:8. 3. In Bible times, they could work their land, trim their trees and harvest their crops for six years, but they were to rest the land and themselves on the seventh year. Leviticus 25. And after seven cycles of seven, in the 49th year, they were to blow the trumpet to announce the jubilee year. 4. The 50th year was also the first of the next sequence so that jubilees were 49 years apart. 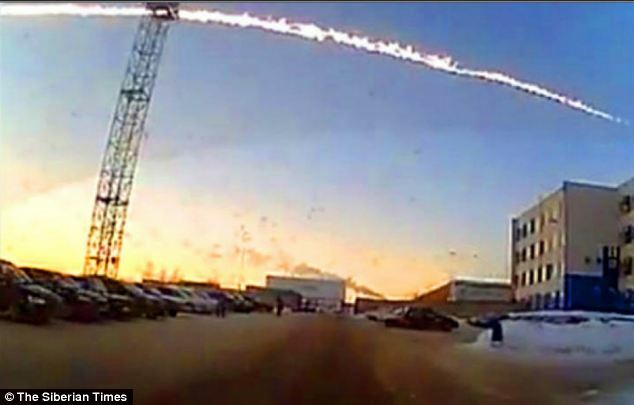 The is seen in the famous Messianic prophecy of Daniel 9:24--"Seventy weeks [of years] are determined... " is computed as 70 x 7 or 490 years, so that it's not an exact 500. In 1,000 years, like Peter's text above, 20 jubilees would span 980 years, leaving 20 years left over, but where do they fit? The paper said the pope had taken the decision on 17 December that he was going to resign – the day he received a dossier compiled by three cardinals delegated to look into the so-called "Vatileaks" affair. Last May Pope Benedict's butler, Paolo Gabriele, was arrested and charged with having stolen and leaked papal correspondence that depicted the Vatican as a seething hotbed of intrigue and infighting. DNA-Solid Evidence? You might be surprised! The Plain Truth has uncovered shocking evidence that DNA convictions and acquittals just may be largely based on junk science and downright fraud. In case after case, we have documented hundreds of cases of unreliable DNA findings, which for the most part, most Americans have been led to believe that DNA evidence was rock solid. Shockingly it isn't! According to this report by New Scientist DNA is largely considered to be the gold standard in forensics. If a suspect's DNA is found at the crime scene, it is compelling evidence for a conviction. But how is a DNA match determined? There are many places in our genetic code where there are short sequences that are repeated over and over. These repeated regions are called short tandem repeats or STRs. The places where these STRs occur are called loci. 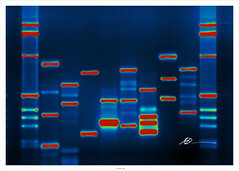 There are many variations in the lengths of STRs (I may have 5 repeats at a particular loci and you may have 8 ) and by looking at many different loci scientists create a kind of profile or human bar code that is unique to each individual. This technique is also used to determine parentage because you inherit half of your unique barcode from your mother and half from your father. 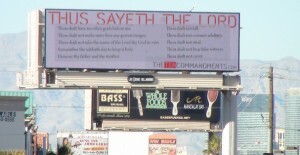 The campaign kicks off this week with 11 major billboards – all in the heart of what some call “sin city,” Las Vegas. Farah is asking for contributions from those who recognize the Ten Commandments represent the glue that holds civilization together to take the campaign nationwide. Last September, Alvin Schlangen was acquitted in Hennepin County, Minnesota of the following three charges: selling raw milk, operating without a food license, and handling adulterated food. 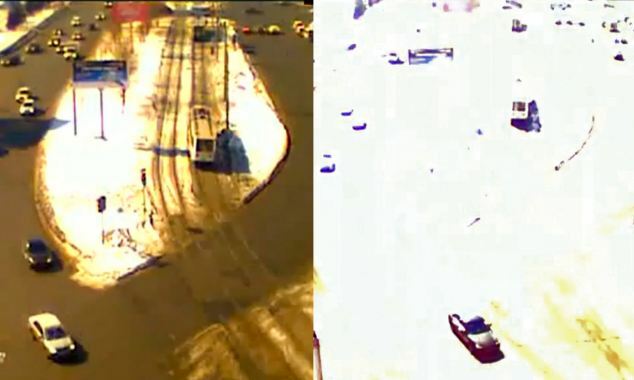 But in January he was brought up on six charges in his home county of Stearns, including the same three that were just dropped against him. Each side had a few weeks to submit letters, one of which was Alvin's attorney requesting to have the same three charges dropped. Alvin is arguing that this is serial prosecution - I'm guessing a less severe form of what we might call Double Jeopardy. But Judge Thomas Knapp disagreed and said they were different "crimes," although similar, happening 10 days apart and involving separate foods. Schlangen argued that both county allegations "were from the same behavioral incident or continuous course of conduct," but the judge is moving forward and another trial will take place with Alvin on the defense. The battle for raw milk and food freedom is well under way. Demand is rising, and that has mega pasteurized-milk producers running scared to government officials, looking for protection in the name of public safety. They aim to limit our access to this highly nutritious food so they don’t have to compete with it. Currently, the so-called “white gold” can’t be sold across state lines, leaving many with little to no options for obtaining this whole and complete food, which has been nourishing people for centuries. 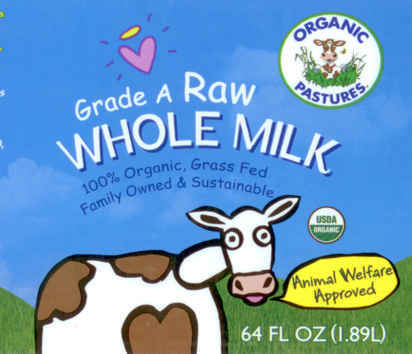 Up until 1987 raw milk producers could ship raw milk to any state in the good ole’ US of A. But in the last couple of decades, access to nutrient-dense foods such as these is becoming more and more scarce because of pressure from food and pharmaceutical industry giants who view them as a threat. These special interest groups lobby government officials who, in turn, legislate or regulate small farmers out of business, thus eliminating their competition. Raw milk and organic products! "United States of Europe" When? Since the 1950s, I have been proclaiming that America will one day be stunned by the emergence of a new power bloc in Europe; that America and the Soviet Union would not go to war; that a reunited Germany would be pivotal to a future United States of Europe! Now, suddenly, the walls come tumbling down in Europe; governments topple in but days; the global news media begins frantically writing about the reunification of Germany; and from the White House to London, urgent meetings behind the scenes discuss the destabilization of Europe, the power vacuum in East Germany, the nightmarish economic, sociological and political problems for which no immediate solutions are evident. And everyone was so SURPRISED! But for me, and those of us in this work, the only surprising part was how quickly so many events in Europe occurred. That Europe is in ferment; that governments are toppling; that the two Germanys may soon be reunited, IS NOT SURPRISING AT ALL TO THOSE WHO SUPPORT TWENTIETH CENTURY WATCH magazine and the work on television. Here's why! America in 2013 is Identical To Nazi Germany in 1933. Get Out While You Can. 33 Days Since Sandy Hook. 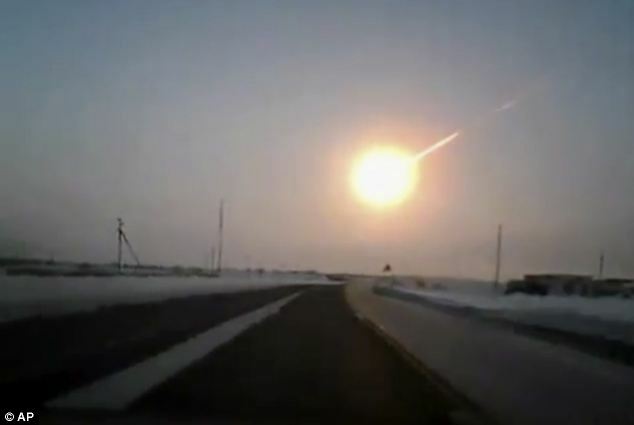 A terrifying meteorite shower left more than 500 people injured, buildings devastated and the mobile network wiped out when it hit Russia this morning. 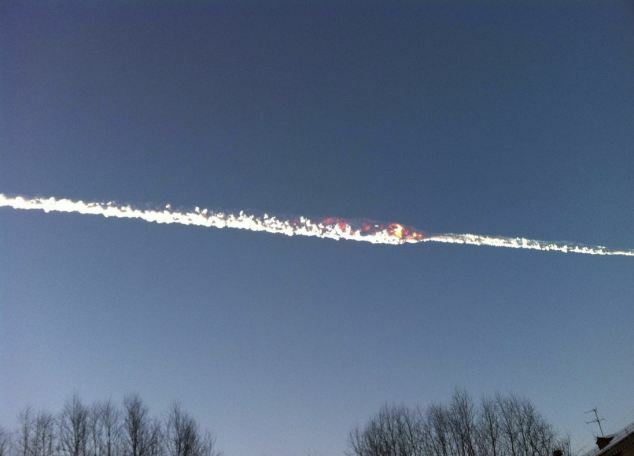 The meteor is believed to have landed in a lake near Chebarkul, a town in the neighbouring Chelyabinsk region. 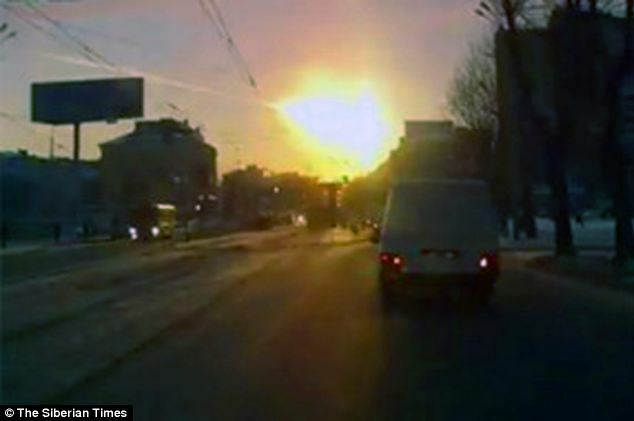 The city of Chelyabinsk, 900 miles east of Moscow and close to the Kazakhstan border, took the brunt of the super sonic impact. Horn believes the last pope, called “Petrus Romanus” in the prophecy by Irish Archbishop St. Malachy, could be the man who is set to take over interim leadership the moment Benedict resigns Feb. 28 at 8 p.m. local time, becoming the acting Vatican head of state. The Temple Mount and Land of Israel Faithful Movement: "This Is Another Message From the G-d of Israel to His People Israel: 'Build My Holy Temple Now With No Delay!'" For almost two thousand years the Land of Israel waited for the return of her Israelite sons and daughters to the Promised Land. Buried safely beneath the ground, the G-d of Israel protected the exciting biblical past of His people Israel — to be rediscovered by His Israeli children precisely during this prophetic redemptive end-time era so that they can restore the historical biblical chain and reconnect it with the link that was cut by the enemies of Israel when they destroyed the Kingdom of Israel nearly two millennium ago. The intention of the G-d of Israel — through this godly plan which is happening now during the prophetic time of redemption that Israel is currently experiencing — is for the ancient links to be connected to the new links that the G-d and People of Israel are presently constructing in the Land of Israel. Every day yet another biblical archaeological find is discovered throughout the Land of Israel. The most exciting discoveries are the archaeological biblical finds that are connected to the Holy Temple in Jerusalem and specifically to the sacred temple worship performed by the Hebrew priests inside the Holy Temple, in addition to the biblical artifacts being found in the City of David that lies just south of the Holy Temple Mount. Many of these biblical archaeological discoveries were found by the Israeli archaeologists after the redemptive Six Days War and especially in the last few years and each day there are more and more unearthed. All of these, I feel deep in my heart, are clear messages from the G-d of Israel to His People Israel to rebuild His Holy Temple with no delay on the Holy Temple Mount in Jerusalem, on the place that He pointed to King David to build His Holy House, and to renew the days of Israel as in the biblical times and to continue a prophetic chain as was prophesied by the G-d of Israel in His end-time prophesies. Only the High Priest had permission from G-d to enter the Holy of Holies once a year on Yom Kippur, the holy day of atonement. The task of the bells on the High Priest's robe was to convey the message to the G-d of Israel that only the High Priest was entering into the Holy of Holies and not any other priest, so that the High Priest would not die. It was forbidden for any other priest or individual to enter the Holy of Holies, where the Shekina of G-d dwelt, or else he would die. When the High Priest entered the Holy of Holies on Yom Kippur, he prayed for the peace of the People of Israel and the entire world. It was a very exciting and special time in the life of the people of Israel. When the High Priest departed from the Holy of Holies after his prayers, still alive, the message was that the G-d of Israel, Who is a G-d of mercy, forgave the sins of His People Israel. At this exciting moment all the Israelites who took part in this godly event on the Holy Temple Mount became joyful and sang songs of thanksgiving to their beloved G-d.
(Reuters) Pope Benedict is fighting the worst crisis of his papacy, but his problems are only the latest in a long history of controversies and intrigue in the headquarters of the Roman Catholic Church. The “Vatileaks” scandal, in which the pope’s private papers are alleged to have been pilfered by his own butler, pales in comparison to the scandals of centuries past when popes were accused of violence, nepotism and sexual excesses. This article is NOT a position of The Plain Truth, but merely offered as a background to the possibility of the next Pope may be the last Pope! Born in 1094 A.D. at Armagh, Ireland, Saint Malachy is also known as: Maolmhaodhog ua Morgair; Maol Maedoc; and Malachy O'Morgair. He died as he himself predicted, on November 2, 1148 at Clairvaux, France. Malachy was canonized the first Irish Saint in the Catholic Church by Pope Clement III in 1190 A.D. The correspondence between the prophecies of Saint Malachy and the Mayan Calendar (whose 'long count' ends in 2012) are alarming, to put it mildly. Why did the ancient Mayan or pre-Maya choose December 21st, 2012 A.D., as the end of their Long Count calendar? The Malachy Prophecies were first published in 1595, by a Benedictine monk & historian named Arnold de Wyon, who found them 5 years earlier in the Vatican archives. Arnold recorded them in his book, entitled: 'Lignum Vitæ'. One of Malachy's strangest predictions concerned the pope who would follow 'De Medietate Lunae'. He is designated as 'De Labore Solis', or 'from the toil of the sun'. Applied to John Paul II, this phrase reveals nothing less than a double prophecy. 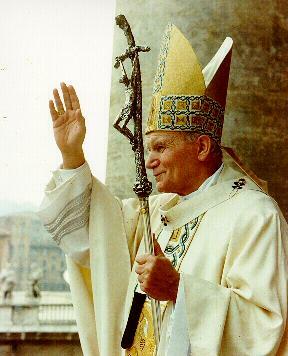 John Paul II (Karol Wojtyla), the first non-Italian elected in 456 years, was a native of Krakow, Poland. Krakow is the city where, in the 15th and 16th centuries, Copernicus 'toiled'; for years to prove his heretical theory that the earth revolved around the sun. Many of Malachy s interpreters also suggested that the 'sun' reference indicated a young pope. Fifty-eight years old at the time of his election, John Paul II was the youngest pope in over a century. For the past three weeks we have been running this feature exposing many of the greatest false doctrines of modern Christianity. These articles are not written by authors of The Plain Truth, but by http://www.end-times-prophecy.org, in which we have no connection. These are very well written articles that The Plain Truth wanted to publish for our readers. There are many doctrines taught in the mainstream Christian churches today that are false teachings, which are not supported by the Word of God in the Bible. But how can so many people around the world be wrong? Because they have been deceived by the "wine" (false doctrines) of Babylon the Great. The whore of Babylon has made the whole world drunk with her false teachings and as Revelation 13 confirms, she has made the "WHOLE world wonder after the beast." The purpose of this page is to enlighten you with the TRUTH of God's Word regarding these teachings. And I would urge everyone to prayerfully study these things for themselves. Asking God to reveal the truth, because it is only through the truth that we will be able to stand against the deceptions of Satan during the last days before Christ Jesus returns. Do you see why seeking the truth is so important? Do you have a love for the truth? I hope so, because it is the TRUTH that will set us free (John 8:32), which is found only in the Word of God (John 17:17) and those who live the truth (John 3:21) will worship God according to the truth (John 4:23-24) through Christ Jesus who IS the truth (John 14:6) and the ONLY way to salvation. completely ignore the crystal clear Bible verses that 100 percent PROVE the rapture theory to be false. And not only is this a false teaching, those who believe in it cannot even agree on WHEN it is going to happen - pre-trib, mid-trib or post-trib. There is just complete confusion regarding this doctrine. And yet the Bible is so clear ... there is NO rapture. The word doesn't even exist in the Bible. So let me give you some Bible verses that expose this false doctrine. Oh how I love the true Word of God. It's sharper than any two edged sword! Praise the Lord! So what does this rapture theory teach? It teaches that Jesus will suddenly rapture away the church BEFORE the end of the world and BEFORE the lost (tares) are gathered, and then the world will CONTINUE another 7 years, during which there will be great tribulation. So the rapture doctrine teaches that Christ will take the saved FIRST. But what does the above Bible verses confirm? They confirm that the wheat (church) and the tares (lost) grow TOGETHER UNTIL THE HARVEST, and then the LOST are taken FIRST. And when is the harvest? No matter what flimsy texts they try to base their belief on, the rapture theory is dead against the above clear Bible truth. And do you know what is so dangerous about the rapture teaching? 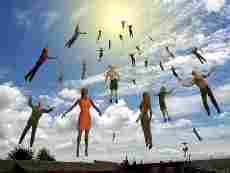 It makes people relax and think they will get a second chance after the rapture to be saved. This is a deception from Satan. Because when Christ Jesus returns soon, every case for saved and lost will have ALREADY been judged and decided. And there will be no second chance. For more truth and information about the second coming of Christ and the rapture, see THIS WEBSITE. "Till heaven and earth pass, one jot or one tittle shall in no wise pass from the law." Do you see what Christ Jesus is saying here? It is so clear. One jot or tittle shall NOT pass from the law till the end of this world. What law? Read the rest of Matthew 5 and you will see that Jesus was talking about the ten commandments. Friends, if one jot or tittle has NOT passed from the ten commandments, then the 4th commandment concerning the sabbath day remains EXACTLY as it was, which means the sabbath day is the 7th day of the week (our Saturday), not the 1st (Sunday). If you study the creation account, you will see that God instituted the seventh day sabbath BEFORE there was any sin in this world. Meaning He meant it to be an eternal weekly day of rest, which the prophecy of Isaiah 66:22-23 confirms. And the seventh day of the week is the ONLY day that God has ever blessed and set apart for holy use. For more truth and information about the sabbath day, see HERE. and HERE. There is a huge amount of professing Christians who do not even look into this important prophecy, and yet it is one that will decide the fate of the world in the last days. And those who do study the mark of the beast, the majority believe that the mark is going to be a physical mark like a microchip (RFID) or an ID card, or something similar. But the mark of the beast CANNOT be a physical mark and I will tell you why. Study the WHOLE Bible and what will you see with certainty that God is concerned with? He is concerned with WORSHIP and KEEPING HIS COMMANDMENTS right? And if you study Revelation 13 and 14 concerning the beast's mark, what is the central theme? Right after the angel warns about receiving the mark of the beast, we are told that those who DON'T get the mark, ie, the saints, are the one's who are KEEPING God's commandments and following in the footstep of Jesus Christ. So the mark of the beast will be to do with God's ten commandments. The beast will enforce a law that will go against one or more of God's ten commandments. And those who accept this law of the beast will in effect be giving their WORSHIP to the beast, rather than God. Then they will have a spiritual mark that God can see and they will be lost. Now don't get me wrong. I believe that technology like a microchop or biometric ID card will be used to help ENFORCE the mark of the beast. But in of themselves it is impossible for them to be the actual mark. For more truth and information about the mark of the beast, see THIS SITE. Again, like the mark of the beast issue, there are huge numbers of professing Christians who are not interested in finding out who the antichrist is. And those who do study it, the majority believe it will be a man who will rise to power in Europe, sometime in the near future. This false teaching was popularized by the "Left Behind" books, amongst many other false teachings. And there are many who just accept those books as truth, rather than study it for themselves in the Word of God. 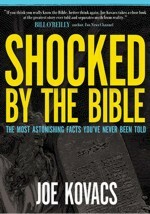 The amazing thing about this one, is that the antichrist was revealed HUNDREDS of years ago by the Protestant reformers. These brave men and women of God stood up for the truth and declared the persecuting Roman Catholic Church as the main Bible antichrist, and the Pope as that "man of sin" which Paul speaks about. And yet virtually ALL of Protestantism today has now turned away from the great truths that God revealed through the reformers, and has embraced the whore of Babylon, their MOTHER. The main Bible antichrist constitutes the little horn of Daniel 7. The sea beast of Revelation 13 and Babylon the Great of Revelation 17 and 18. And this antichrist system is lead by that man of sin in 2 Thessalonians 2. And all these point UNMISTAKENLY to the Papal Church of Rome. Let's just look quickly at that man of sin. What does the Bible say the temple of God is today? 1 Corinthians 3:16 tells us that WE (the church) are the temple of God. So for the man of sin to "sit in the temple of God", he would need to reside and sit in a position of leadership in the professing Christian church right? And he would need to be looked upon and venerated and exalted higher than other men and be placed in a position like God right? Did you know that the word "anti" in antichrist can also mean "IN PLACE OF" Christ? men and is regarded as being in place of Christ on earth? Yes! The Pope of the Roman Catholic Church. And what is he called? The Holy Father!! 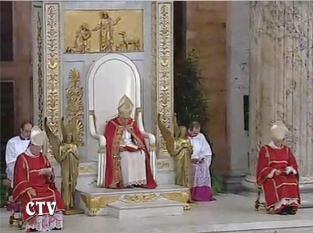 Who else would sit in the church on a throne between two golden cherubim, as God, called "holy father", other than the man of sin?! This is your man of sin - the Roman Catholic Pope, and the Roman Catholic Church is the Bible antichrist. For much more information about the antichrist, see HERE. Friends, these are important doctrines that Satan has twisted and is going to use to deceive the masses in the very last days. And the only way we can be guarded against the attacks from the enemy is by studying and learning the truth. Why has God bothered giving us His Word in the Bible? Why have many people given their very lives to bring us the Word of God in our own language? Because the TRUTH is vital for us to know and understand. I pray that you will study these things for yourself. Don't even take my word as truth, but prayerfully study it yourself in the Bible and Christ Jesus will open your eyes to wonderful things that He is longing to share with you, so that you may stand in the day of temptation and not be deceived. The rapture doctrine is based on a couple of flimsy (at best) Bible verses, and yet those who push it completely ignore the crystal clear Bible verses that 100 percent PROVE the rapture theory to be false. And not only is this a false teaching, those who believe in it cannot even agree on WHEN it is going to happen - pre-trib, mid-trib or post-trib. There is just complete confusion regarding this doctrine. And yet the Bible is so clear ... there is NO rapture. The word doesn't even exist in the Bible. So let me give you some Bible verses that expose this false doctrine.